I’m very fortunate to get to see many amazing uses of Unreal Engine across a broad variety of industries, but those that know me well are aware there is one user case from Manchester, England that’s truly blown my mind. Just picture being able to harness the capabilities of Unreal Engine to profoundly improve and save lives, to contribute to developing cures and therapies for the sick or addicted, and help make the world a better place for those who are suffering from a broad range of maladies. That’s exactly what C4X Discovery is doing. Using the same technology we used to develop our Fortnite video game, C4X Discovery aims to develop medicines in the digital world that will make a crucial impact in the real world. C4X Discovery found Unreal Engine to be the best tool for scientific visualization. Discovering a drug that is effective for its intended purpose is no simple feat, but it all starts with the shape and behaviors of molecules. Dr. Charles Blundell, CTO and founder of C4X, says the task of pairing the right drug molecules with their target proteins in the human body is much like finding a good dancing partner. 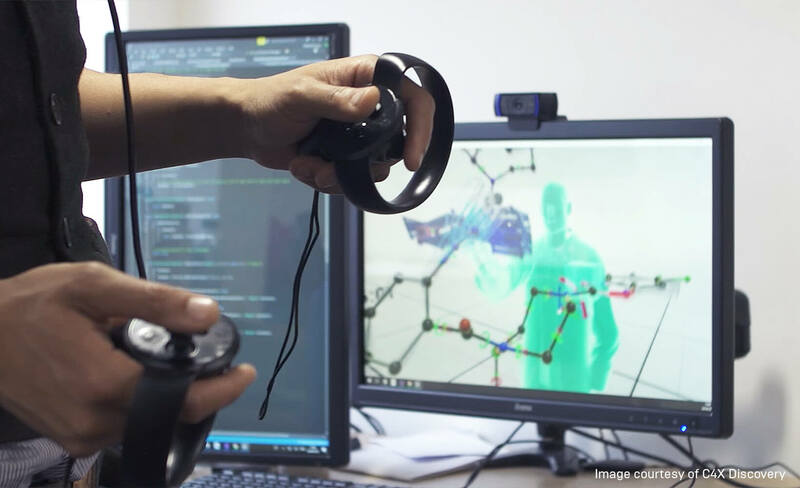 C4X Discovery finds that virtual reality interaction with molecules and their real-life properties to be a great improvement over the traditional ball-and-stick model. 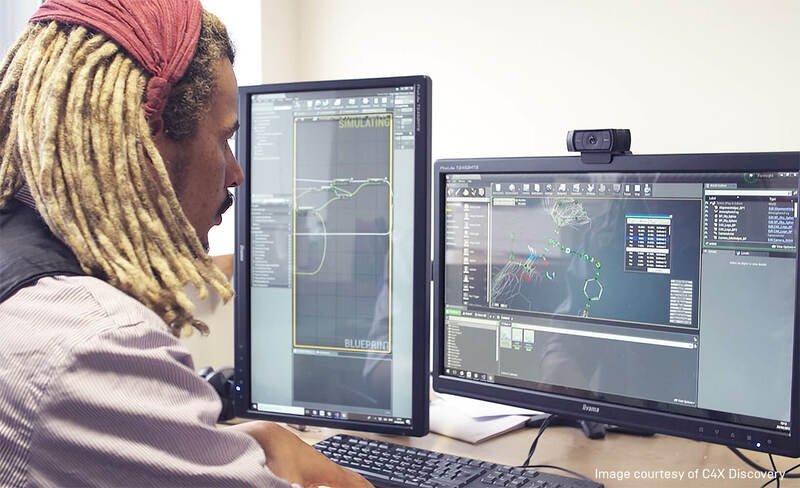 Unreal Engine has everything the team needed to build 4Sight, and the mix of excellent support paired with the engine’s powerful features made it a great fit for the company’s needs, says Phil Muwanga, lead software developer at C4X. 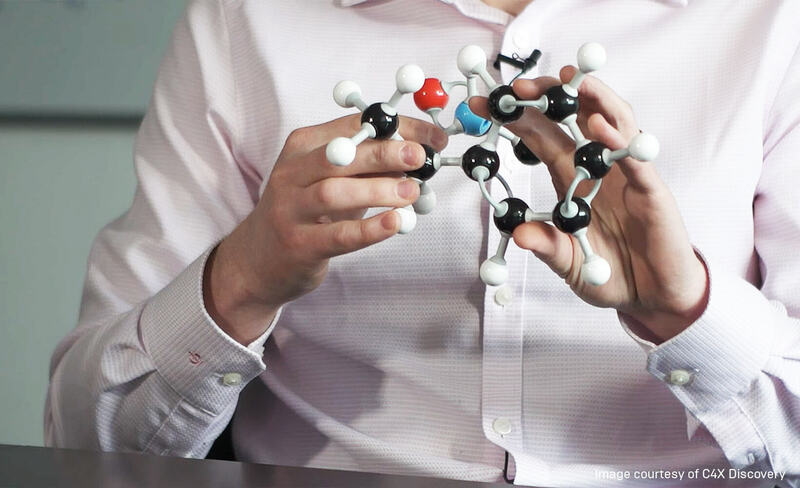 Building the old standard “ball and stick” models doesn’t accurately mirror the way molecules actually look and behave, but having a VR-capable 3D tool like 4Sight lets scientists experience molecules from an entirely different perspective. Finding molecules that go well together is like finding a good dancing partner. 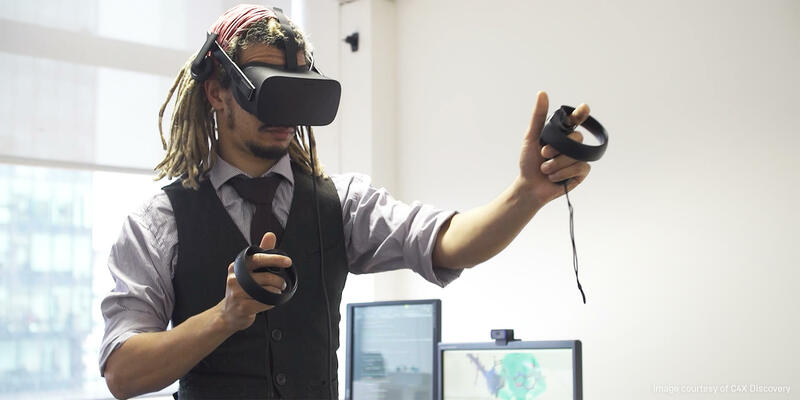 The ability to go hands-on with 3D molecule models in VR, explore them from different views and angles, and interact with them in new ways is a game-changer for pharmaceutical discovery. “I believe the 4Sight tool will change the way we see chemistry and drug design forever,” says Blundell. Want to create your own immersive VR experience? Download the free Unreal Studio beta, which gives you access to Unreal Engine plus import tools for your modeling package.